Reduce & reuse your buttons! Employees come employees go and if you’re in the service industry nametags will always be a necessity. 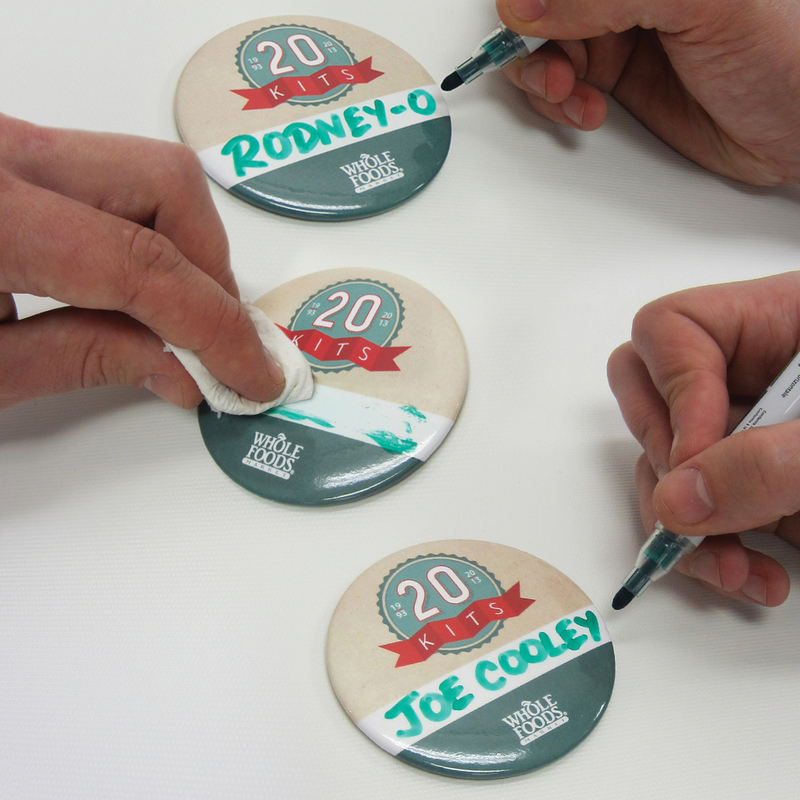 Did you know a dry erase marker is the perfect application on our pinback buttons? Whole Foods Canada chooses Six Cent Press to make all of their blank button nametags. With the option of reusing their nametags they reduce the number of times they have to order. Did you know we are an authorized dealer of Terce brand button makers and button making supplies. Making your own buttons gives you the flexibility of working with as many different styles of artwork you want. Save money when you do it yourself.